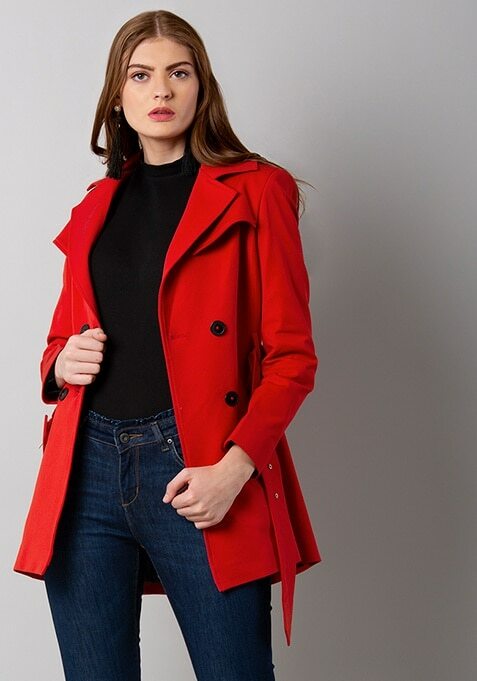 Fight off the chill while keeping your look on point with this red belted trench coat. Features notched lapel, self fabric belt and double breasted front. Work It: Style it with a jumper, skinny bottoms and ankle boots.